Thank you to Wally's Natural for providing me with their great product for review. All opinions are 100% my own. This post may contain affiliate links. Embarrassing story time. When I was probably 12 years old, I was cleaning my ears out with a Q-Tip and the phone rang. Well, if you are perceptive, which, unfortunately, I was not, you might see where this is going. I slammed the phone onto the Q-Tip in my ear and probably punctured my ear drum. A couple of things... first, that was one of the klutziest things I've ever done. Second, remember that in that day and time, we didn't have cell phones. This was a home phone. And the reason I was in such a hurry to answer it was because there were seven people living in my house and I was 12 and it might have been for me. And God forbid anyone else answer it first. I had to go to the doctor a few months later to have an enormous ball of wax removed (ewwwwwww) because I had probably caused some kind of blockage from the damage. All unpleasant things. As I am writing this, I realize that no one is forcing me to share this and it could stay quietly in the past. But what fun is that!? Now getting to the point of all of this. 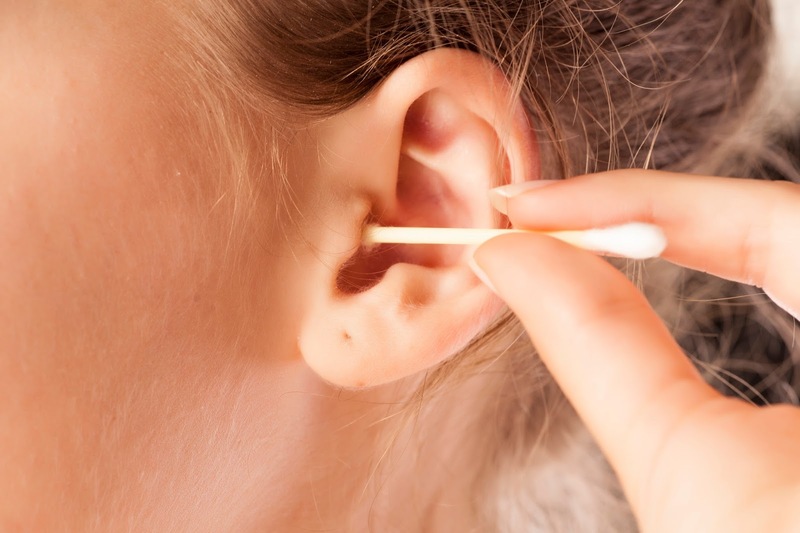 It really isn't safe to use Q-Tips to clean your ears. And it really is super tempting to use them since they seem to get out gunk when you do. Furthermore, have you ever tried to clean your kid's ears with a Q-Tip? Yah. Good luck with that. It tickles and they yank their head all around - disastrous conditions for ear cleaning. 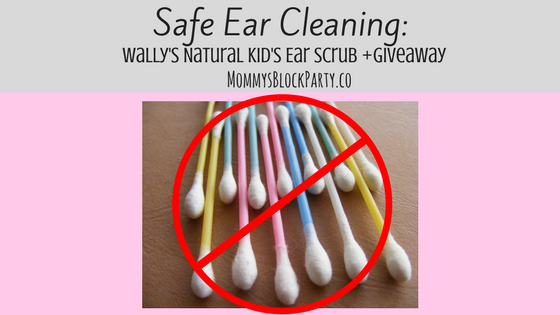 Thank goodness for Wally's Natural Kid's Ear Scrub. I heard about this and of course, due to my terrible childhood experience, I totally loved the idea. Wally's Natural sent me a kit to try out on my littles. The idea is simple: no probes, natural ingredients, clean ears. Bingo! Exactly what we have been looking for. 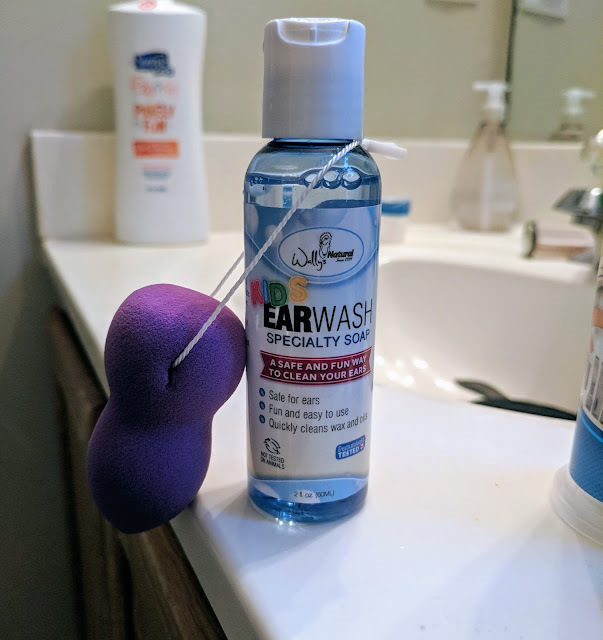 The kit is two things: a ear scrubber thingie and a bottle of ear soap. The scrubber is super soft and squishy - like a soft foam. The instructions are to put a few drops of ear soap on the scrubber and squeeze it a few times to distribute the soap. 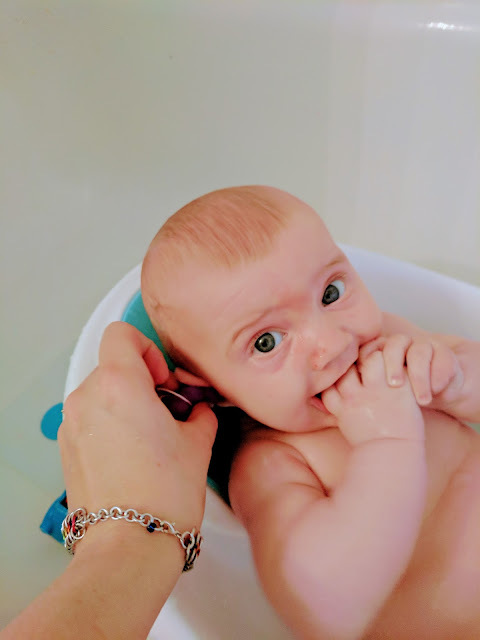 Then, put the scrubber in the ear and twist to clean the ear. 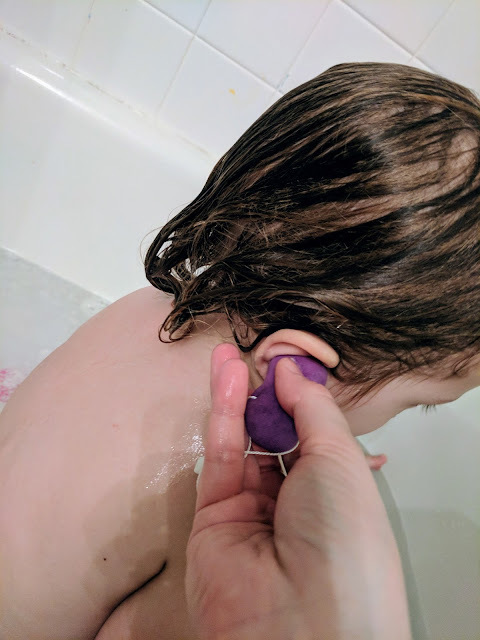 The scrubber conforms to the ear's contours and really gets in there to clean the oils and dirt out of the ear, without getting anywhere close to the ear drum. Whew! I used it on all my kiddos - even the really squirmy one. You just rinse it out after each use. None of them cringed or tried to wiggle away - a miracle! And all of them have squeaky clean ears! I call that a win. 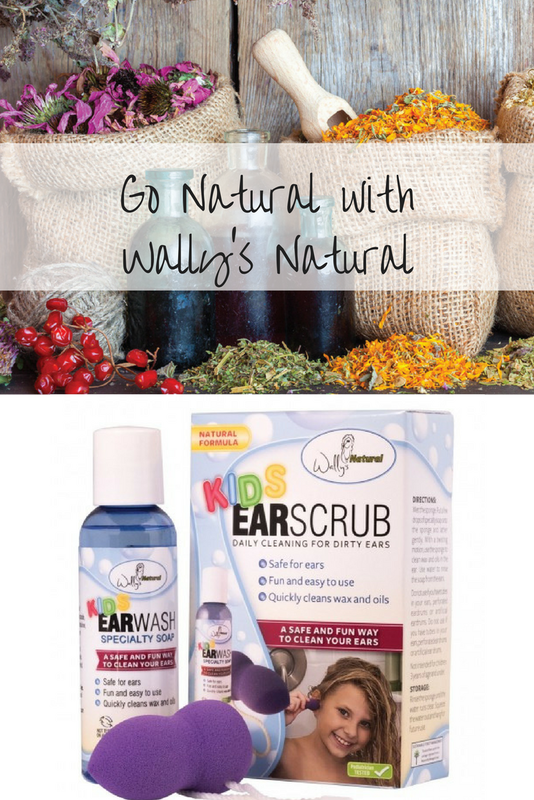 A little bit about Wally's Natural - they started out as an Ear Care company, making ear candles and organic ear oil to soothe and care for sensitive ears. They have since expanded into carrying this wonderful Ear Scrub kit, an Organic Body Oil, Organic Ear Oil and several Organic Aromatherapy Blends. Wally's is all about delivering environmentally responsible, quality products to help consumers take care of themselves and live a better life. I love that! All good things. 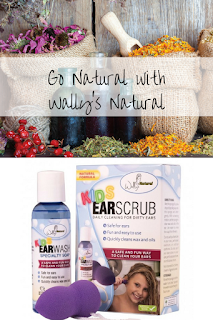 Visit Wally's Natural online to order your own Ear Scrub kit for your family! Follow Wally's Natural on Facebook and Instagram for product updates and ear care info! One lucky MBP reader will win three amazing Wally's Natural products to share with their family ($25.97 RV)! Use the form below (at the bottom of the post) to enter! 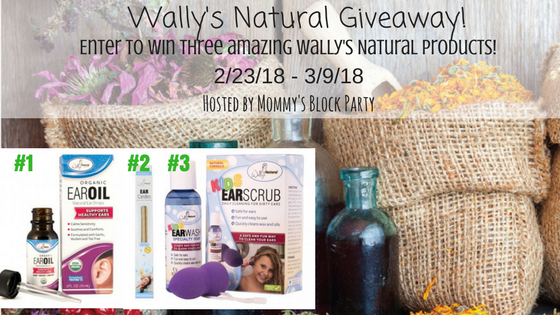 Special thanks to Wally's Natural for allowing me to check out their awesome Ear Scrub Kit & for sponsoring this fun giveaway for our readers! Yes, my ears are sensitive. No my ears are not sensitive. I've been qtip free for years. I do not have sensitive ears. I do have sensitive ears. I am a Q-tip offender for sure! I am a Q-tip offender! I must confess, I love the pleasure of a good q-tip cleaning! Not a Q-Tip offender whatsoever. I am a q-tip offender.